Conquer the day knowing you’ve got all your essentials with you. 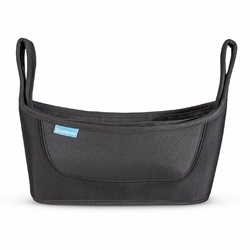 Multiple, easy-access compartments hold anything from beverages to child’s snacks to handy wipes, while a large zipper pocket stores personal items. This deluxe parent console won’t slow you down.